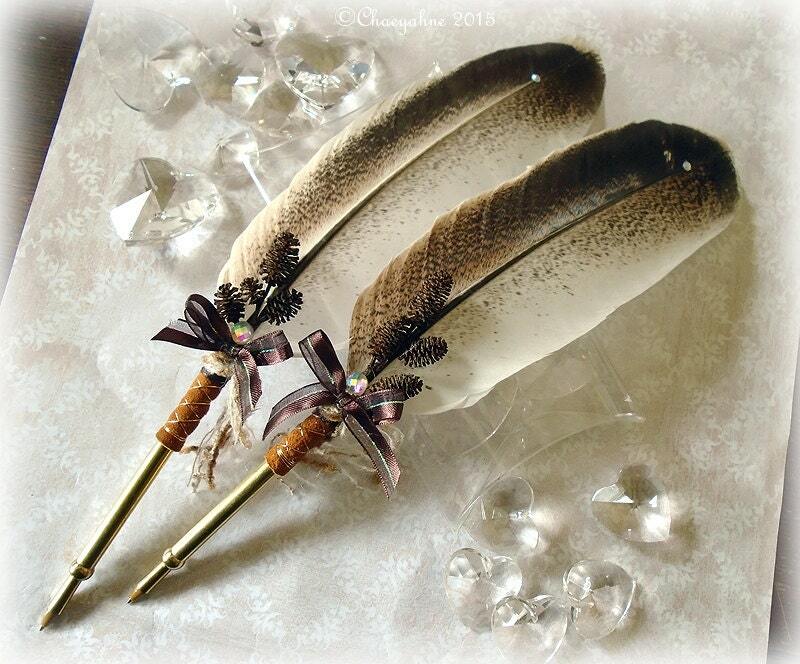 Beautiful, OOAK Wedding Quills handcrafted & painted by Master Pen Crafter, ChaeyAhne. 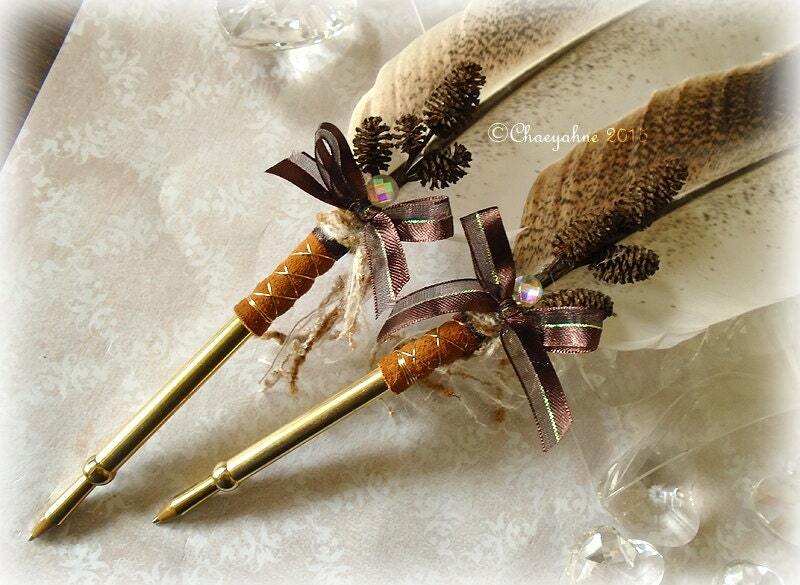 This lovely pen design is 11+ inches long, and is hand-crafted from a - RARE - Sweetgrass turkey quill. The pen shown is a ballpoint, it writes in black, however it can be crafted into a dip pen if desired. The writing shaft is wrapped in soft tan leather, with goloden wired cross-hatching. Accents include a lovely bouquet of tiny pinecones, with added crystals and chocolate coloured ribbons. Finished on both sides. This is an exclusive CSD design, and is of course one-of-a-kind. All of my pens come pleasantly gift wrapped, and complete with our CSD studio certificate of authenticity. All images, graphics, and content in relation to ChaeyAhne's Artistry & Designwork, INCLUDING wording etc., within the Enchanted Quills Etsy store are ©ChaeyAhne SilverFox Designs, 1983-2015. All rights reserved.